Calculation of the monthly consumer prices for petrol, gasoil and kerosene. Provides information about and the process of the application for obtaining permits pursuant to the “Business Licensing Ordinance”, including, but not limited to, establishment of a new business, for acting as a director of a company, transfer of an already established business and others. In English: Initiative for the Development of Aruba Enterprises. In Papiamento: Iniciativa pa Desaroyo di Empresa Arubano. Idea offers free help and extensive guidance, to the entrepreneur that wants to start a small business or have an existing business, who many times encounters different challenges such as basic business skills, access to credit, technology, marketing and the different existing regulations. Idea will contribute to the formation of sustainable development in the business sector, to increase productivity and efficiency and to have a strong and healthy labor market. 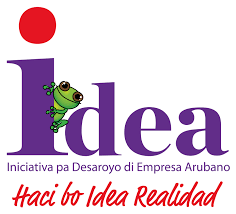 Idea organizes through the whole year different free trainings & workshops for people who have a business or want to start a business. According by the request of the SME’s where Idea feels that there is a lack of information, we try to organize trainings & workshop, which are facilitated by professionals. How many employers are needed and there working hours. We also work together with other institutions, businesses, foundations, banks, schools, afterschool programme etc. on project- based activities. You can make an appointment or just walk in our office and our representatives will give you all information and guidance needed. Exprodesk facilitates SMEs and potential exporters with the necessary export information and assistance to successfully export. The majority of companies in Aruba consists of SMEs. Their success and growth translates into economic growth and prosperity. Therefore, it is important to invest in a support system that guides companies in their effort to grow and expand their product or services in the region and the global market in general. We go beyond providing our clients with information and guidance. We offer a series of presentations, workshops, webinars and training to ensure that our clients get the maximum benefit and skills necessary to successfully export their services and products. Trade contacts: company directories, freight forwarders and trade fairs. Furthermore, we conduct studies and research on international markets in order to better meet the needs of our customers and align these to the strategic objectives of their organizations. Nowadays, accurate information is more than simply useful or important for an SME to operate and to compete at the international level, it is vital. Therefore, we create and provide both digital and non-digital documents with single or combined types of information such as a printed or online guide of foreign importers, a guide or brochure on how to do business in a given country, a newsletter, a report, an announcement of a business opportunity, a market study, a list of upcoming trade fairs for a particular sector, a trade article, a list of potential buyers or a market news report. Exprodesk assists export ready companies throughout the export process by providing market intelligence, export planning and implementation, trade advice as well as regulatory compliance consultancy. You can make an appointment to obtain information and guidance from our representatives. All of our events, presentations, workshops, webinars and training are FREE of charge. You can register or apply online on our website or contact us at info@exprodesk.com.